It is an acid test. Does a company have faith in its own products and solutions? Does it employ them to drive improvement in its own processes? Sharp does; capturing essential business information using intelligent imaging software that runs on Sharp multifunctional products. The solution has streamlined processes and is helping the company respond efficiently to customer needs. Mike Stancombe, administration manager at Sharp Electronics, is responsible for the company’s Jobtrak service database. The database contains information about many thousands of machines serviced by the company. Maintaining accurate service records is essential if the company is to deliver an effective service and bill customers accordingly. The Jobtrak service database contains detailed records of every service transaction, from the initial machine order, to delivery and installation paperwork, and ongoing service records. The records are compiled from a variety of sources and include paper-based copies of the original machine order, pre-delivery inspection report, delivery note and service contract. Mike Stancombe explained that until the intelligent imaging software was deployed, paper-based records had to be manually collated and stored in a bank of filing cupboards. The process was time-consuming andthere was potential for information to go astray. The paper-based records were, moreover, only accessible to staff working in the office where the files were kept. Sharp multifunctional products feature Open Systems Architecture (OSA); a platform which allows technology partners to develop applications that are accessible directly from the control panel of the MFP. Having listened to Mike’s requirements, Sharp’s Solutions Consultants recommended automating the process using Drivve|Image software. 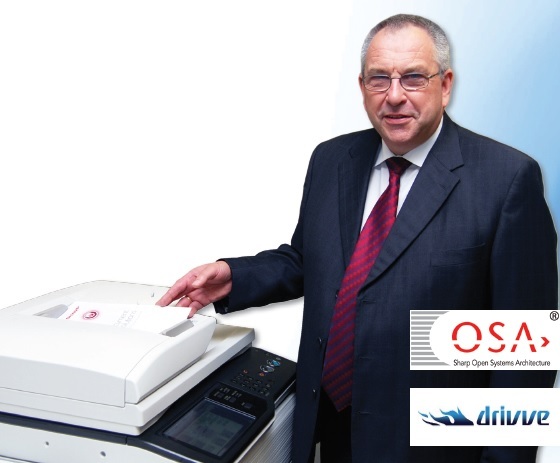 Drivve|Image software, which can be integrated with Jobtrak, would improve business efficiency by automating repetitive tasks such as document scanning, indexing and filing. A trial was established and proof of concept successfully demonstrated before the installation went ahead. One to one training ensured that users were familiar with the new system. A large and rapidly expanding fleet of filing cabinets, which had housed the original paper-based records, is now virtually redundant. Mike plans to retain the paper-based records, but will move the files to an off-site storage location, reducing storage costs and releasing a considerable amount of office space for other use. The electronic records, which are held on a network server, are more secure than the paper-based originals. 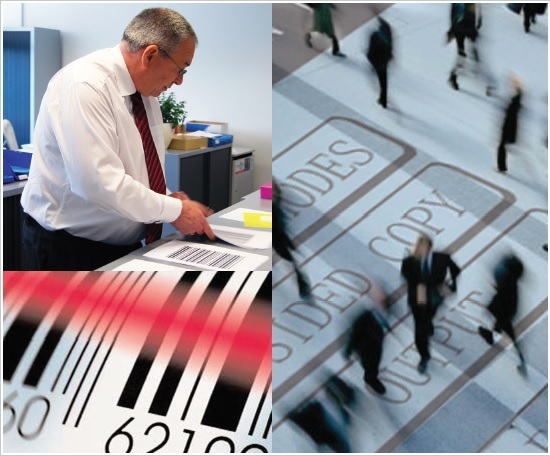 Unlike paper records, which can easily be mislaid, the electronic records are centrally maintained and regularly backed up. The colour PDFs are true facsimiles of the original documents, showing, for example, any annotation and highlighting. Drivve|Image software can be used to integrate Sharp OSA-enabled MFPs with virtually any commercially available database. The intuitive interface can be customised to show document specific indexing choices and will allow meta data to be added to documents as they are scanned. Sharp is happy to recommend Sharp products and solutions!